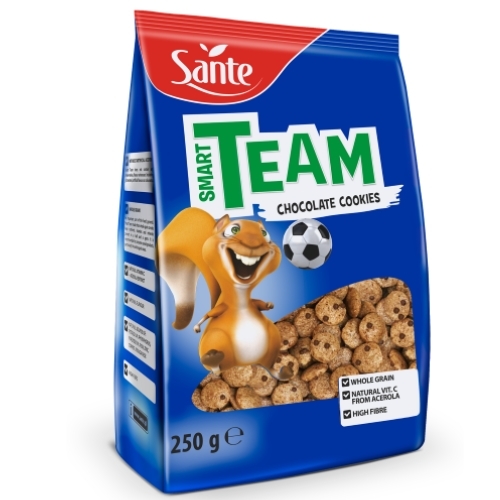 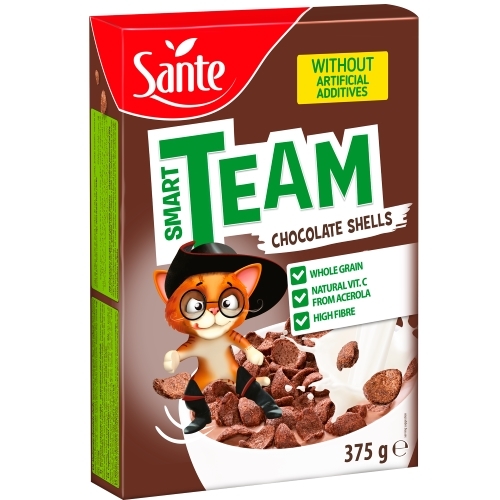 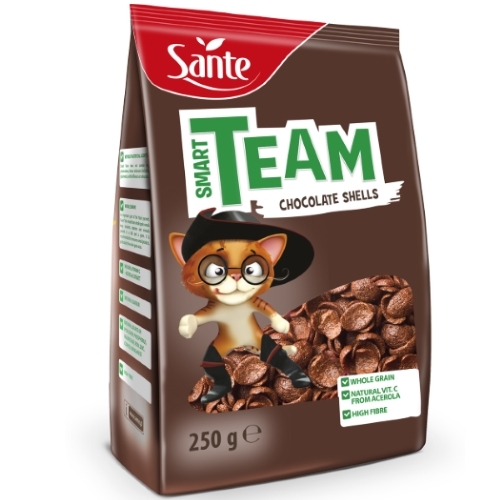 Breakfast cereal Smart Team chocolate shells are a delicious multi-grain breakfast cereal made of whole grain. 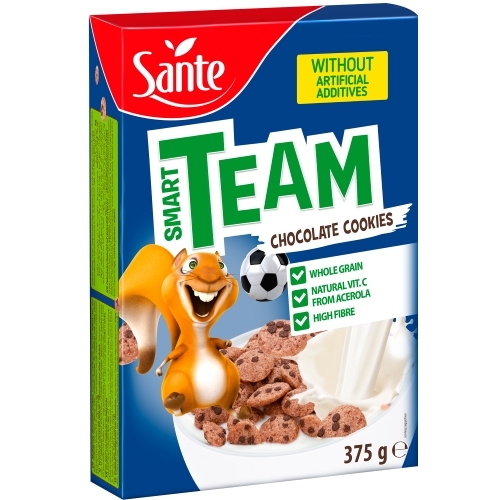 It contains only selected ingredients 100% without artificial additives and with the Sante guarantee of quality. 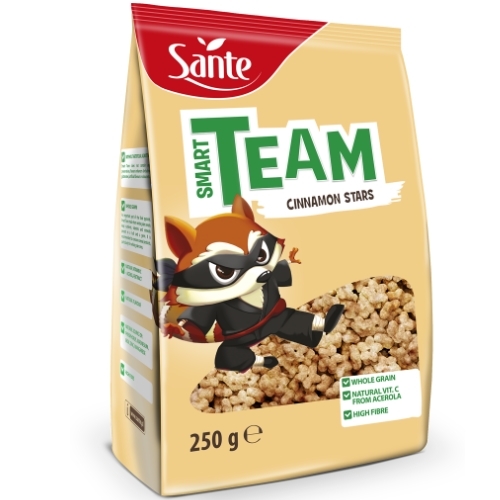 All this so that your child gladly eats a nutritious breakfast and copes well with the challenges each day brings! 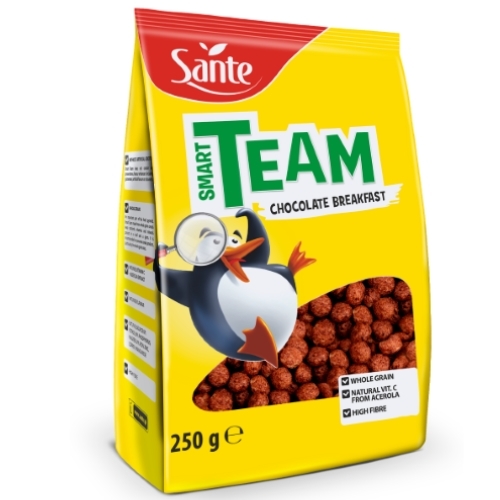 Wholegrain flour (50%) [wheat, rice], chocolate powder (21%) [unrefined cane sugar, cocoa], glucose syrup, corn flour, unrefined cane sugar, sunflower oil, cane molasses, sea salt, cinnamon, natural flavours, acerola extract (0,07%). 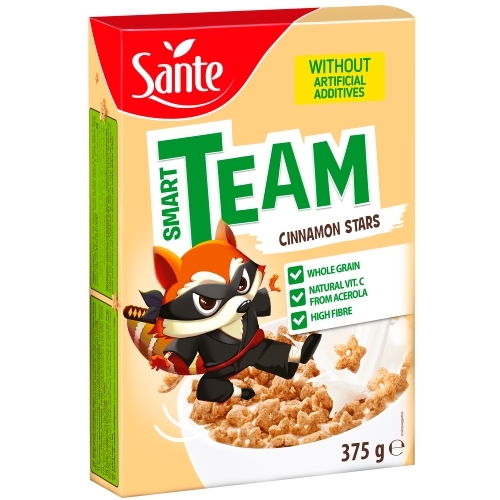 May contain traces of soy, nuts and milk. 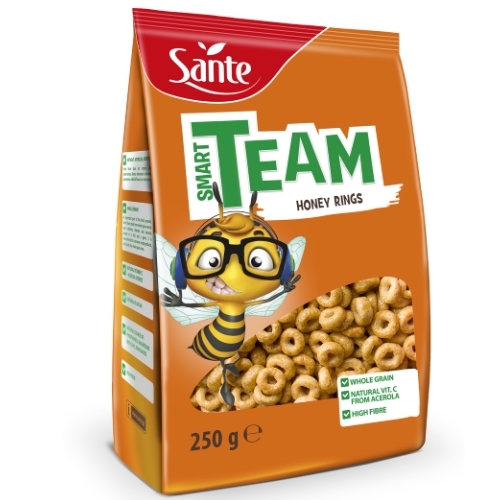 * % of the reference daily intake for an average adult person (8,400kJ/2,000kcal). 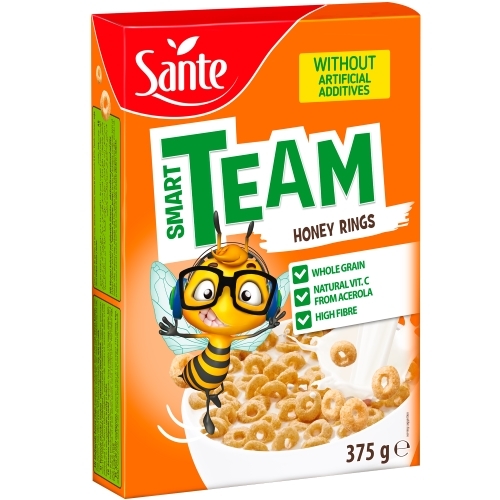 ** % of the reference daily intake for an average adult person.